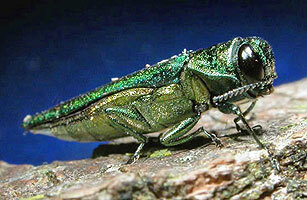 Emerald ash borer (EAB) is a green jewel beetle native to eastern Asia that feeds on Ash species. In its native range, it is not considered a significant pest. Outside its native range, it is an invasive species and is highly destructive to ash trees native to northwest Europe and North America. The natural range of the emerald ash borer is eastern Russia, northern China, Japan, and Korea. EAB was discovered in southeastern Michigan near Detroit in summer of 2002 for the first time in North America. Populations of EAB are more spread outside, and the edges range north to the upper peninsula of Michigan, south to northern Louisiana, west to Colorado, and east to Massachusetts. EAB infest and cause significant damage to ash species including green ash, black ash, white ash and blue ash. EAB adults prefer to lay eggs on open grown or stressed ash. Damage occurs in infested trees because of larval feeding. The serpentine feeding roads of the larvae block the flow of nutrients and water. 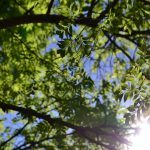 The tree infested by EAB larvae will no longer be able to transport water and nutrients sufficiently to the leaves to survive. After first infestation, all ash trees will die within 10 years without control measures. EAB prefers green ash and the black ash trees. White ash is also killed rapidly, but usually after all green and black ash trees are destroyed. Blue ash resists the EAB by making callus tissue around EAB routes, but it will be eventually killed. In urban areas, infested trees are usually removed to reduce EAB population and to prevent further spread. Urban ashes are replaced with maple, oak, or linden which are not good food for EAB. In rural areas, infested trees can be cut for lumber or firewood, but there may be quarantines. Insecticides currently used can stay effective for one to three years in the trees. Those insecticides have imidacloprid, emamectin benzoate, and dinotefuran. 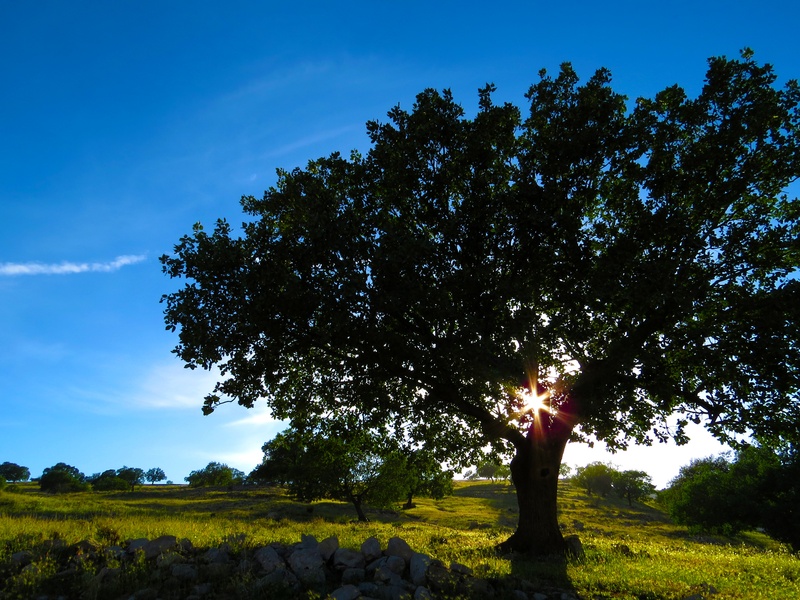 Ash trees are primarily treated by direct injection into the tree or soil drench. Some insecticides cannot be applied by homeowners and must be applied by licensed applicators. Tree injections will not harm tree health initially, but drilling and chemical exposure over many years may affect tree health. Insecticides are not proper treatment for large areas. If you have any inquiries, please give Royal Tree LLC a call at (720) 626-3352. 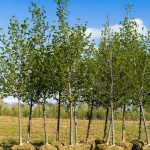 We can go anywhere in Denver, Golden, Westminster, Lakewood, Aurora, Centennial, Littleton, Parker, Greenwood Village and Boulder to help with your trees.